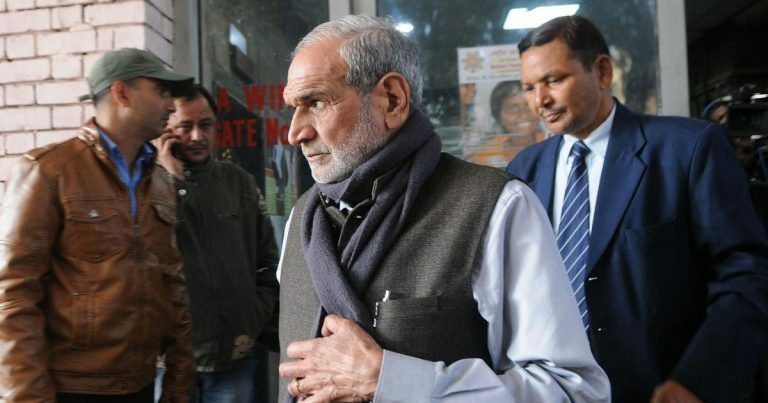 DELHI: A Delhi court Tuesday issued a production warrant for January 28 against former Congress leader Sajjan Kumar in a 1984 anti-Sikh genocide case. District Judge Poonam A Bamba (pictured below) issued a production warrant against Kumar after Tihar Jail authorities failed to produce him today. 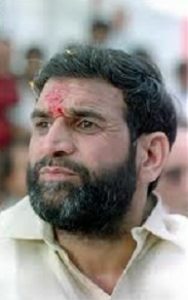 In the case before the trial court, Sajjan Kumar, Brahmanand Gupta and Ved Prakash are facing trial on charges of murder and rioting pertaining to the killing of Surjit Singh in Sultanpuri. The witness, Cham Kaur, had on November 16 last year identified Sajjan Kumar before the court as one who had instigated the mob to kill Sikhs. Cham Kaur (pictured below) had told the court that she had seen Kumar addressing a crowd in the Sultanpuri area of Delhi in 1984. “On November 1, 1984 when I stepped out to look for my goat, I saw accused Sajjan Kumar addressing the crowd and saying ‘hamari ma maar di, Sardaro ko maar do’ (They killed our mother, kill the Sikhs),” Cham Kaur had told the court. 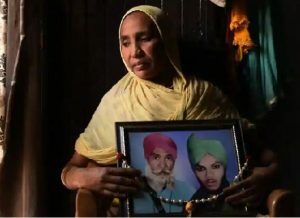 “My son Kapoor Singh and my father Sardarji Singh were pulled out of the hiding place on the second floor, beaten badly and thrown down from the roof,” Cham Kaur had said, adding, she also received injuries in the attack. 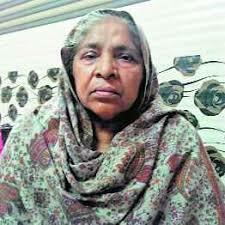 Before Cham Kaur, another key prosecution witness Sheela Kaur (pictured below) identified Sajjan Kumar as one who had instigated a crowd in Sultanpuri. The proceedings in the case were earlier stayed after the complainant Joginder Singh approached the high court seeking transfer of the case while alleging that evidence was not being properly recorded.